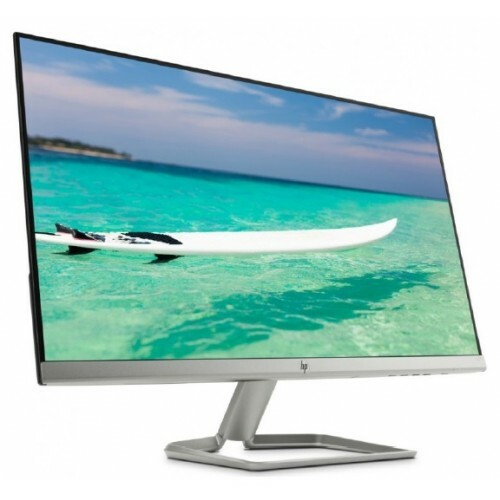 HP 27f 27-inch full HD (1920 x 1080 @ 60 Hz) ultra-thin design monitor has ultra-wide viewing of 178° with non-reflective anti-glare panel for comfortable and soothing viewing experience even in daylight. This lightweight micro-edge with almost bezel less display enable to build a perfect multiple monitor setup. Its low blue light mode puts less strain on our eyes. This IPS panel LED backlight device also contains AMD FreeSync feature and 5 ms gray to gray response time to enjoy a blur and lag free gaming. Its Slim design, modern look & 5° to 25° back and forth tilt for better space and flexibility. The dynamic contrast ratio of 10,000,000:1 provides deeper blacks, brighter whites, and crisper colors. 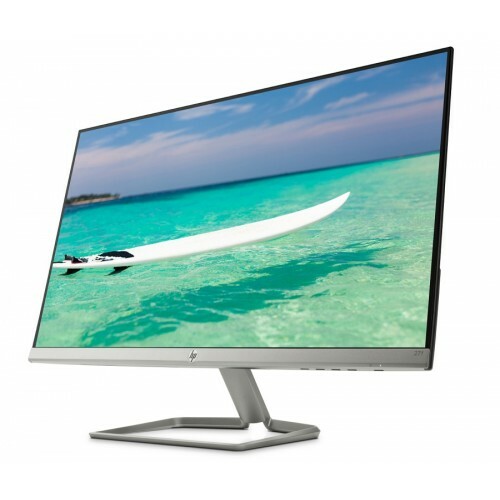 This American stylish brand HP offers this elegant monitor within your budget. Star Tech offers the best price in Chattagram, Khulna, Dhaka, Rangpur & Sylhet for your convenience. Choose your favorite HP monitor from Star Tech online shop and have the delivery at any location in Bangladesh.